Considering it's the only watch marque to make a smartwatch, by default, it's the classiest smartwatch you can buy, despite the practicalities. 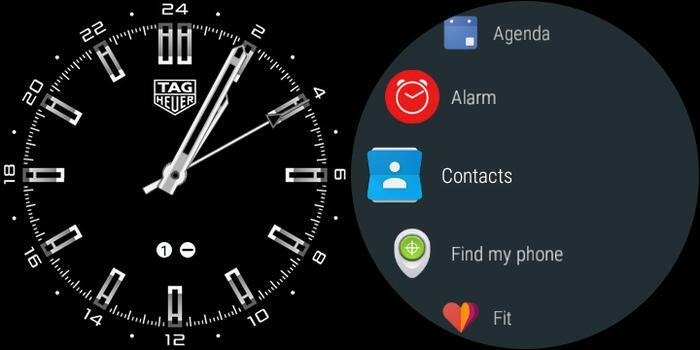 We've struggled to find a killer feature for Android Wear smartwatches. They provide notifications which stop some people having to look at their phone and most have (variable-quality) heart-rate sensors for fitness tracking apps. Some aren't even waterproof. Compared to the likes of the Apple Watch, with its proper waterproofing plus myriad fitness and navigation features, they've not really seemed very... well... smart. Some have been attractive-looking like the Huawei Watches the best non-Apple variant we've seen has been Garmin's Fenix Cronos which did everything and had a battery that lasted a full week. So we've been very interested to get our hands on Tag Heuer's Connected smartwatch to see what the marque could bring to the table. While this is version one (and gen. 2 is already upon us) it has just been updated to Android Wear 2. So the questions now are, is the Connected still worth buying and has Android Wear 2 made Android Wear more attractive? Our first impressions are mixed. On the one hand who are we to judge a product from a company that brought us the likes of the Steve McQueen Monaco watch from Le Mans? On the other hand the rubber bracelet and large, chunky body split the field: some thought it was bulky and ugly while others fell in love with it. It's a personal thing. 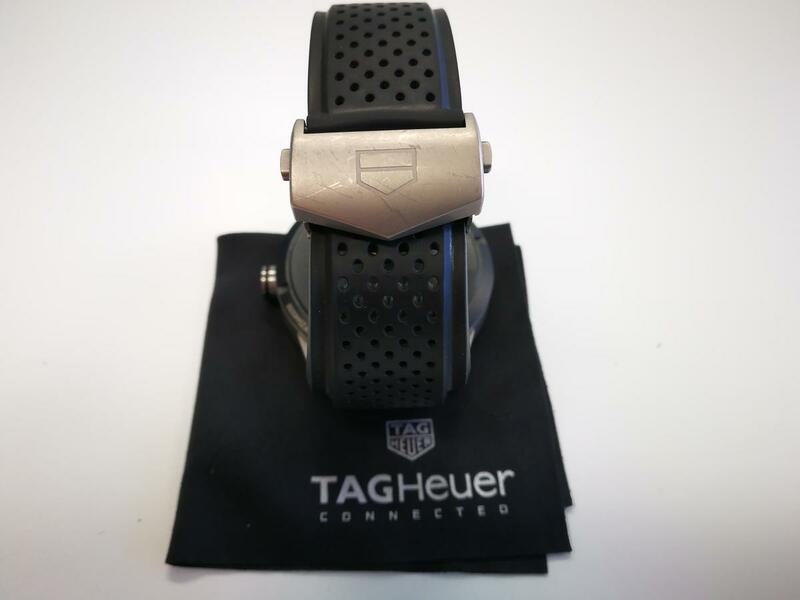 The original Tag Heuer Connected. 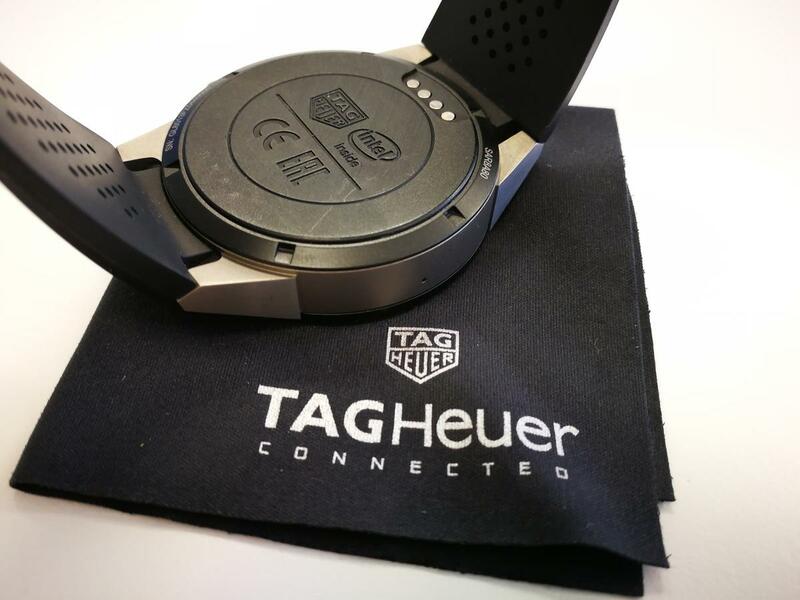 Despite the simplified Tag logos on the crown and on top of the face, few people will recognise it as a Tag and that's usually the point of watches – they're the only universally-acceptable jewellery men can wear. But it will likely still attract interested glances from aficionados who care about such things. 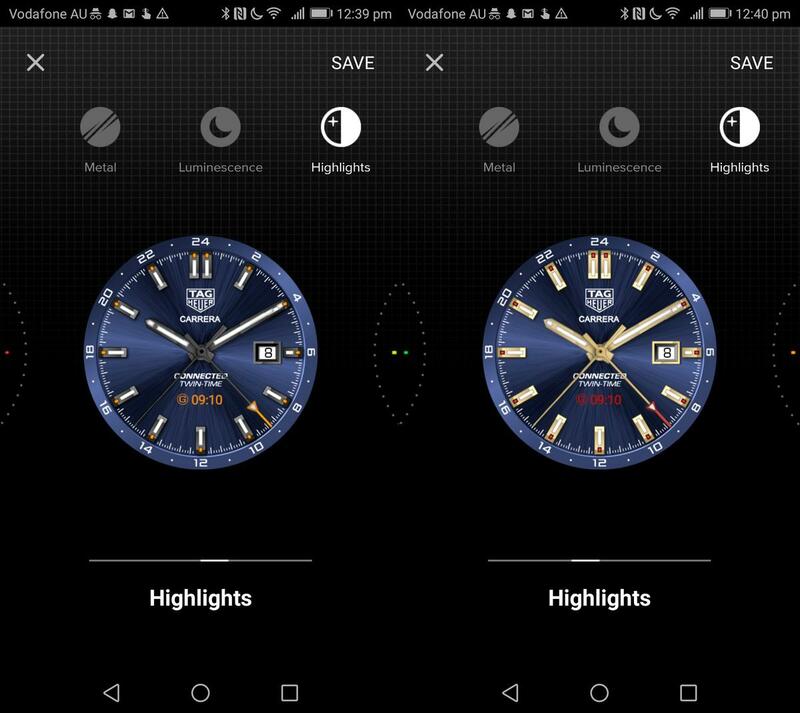 The new Android Wear 2 software coincides with an updated to the Tag’s Connected App. This focuses on customizing the key elements of the face to an intricate degree. You can change the style of the ‘metal’ number markers, the colour of their highlights and the colour of the face. You can change the appearance of most parts of the watch, from highlighted dots to colour of the number bars. On top of that you can add a “GMT-style” third hand to tell the time from another timezone or extra 'Chronograph' dials. On top of that are the usual date and battery functions. Ultimately, there’s much more choice and the options are more refined. It ties into the newer Connected 2 watch which is all about being modular – physically as well as for software. Just some of the main faces offered by the new Tag Connected app. Android Wear 2 feels much more polished than the original, with swiping much smoother and quicker and the layout more intuitive. The main feature addition is the excellent Google Assistant – just hold the main button and talk into it like a 60’s secret agent. We found it works better when it’s quieter though. Another potentially-useful app is Google Translate which offers very accurate voice recognition for a great many languages. 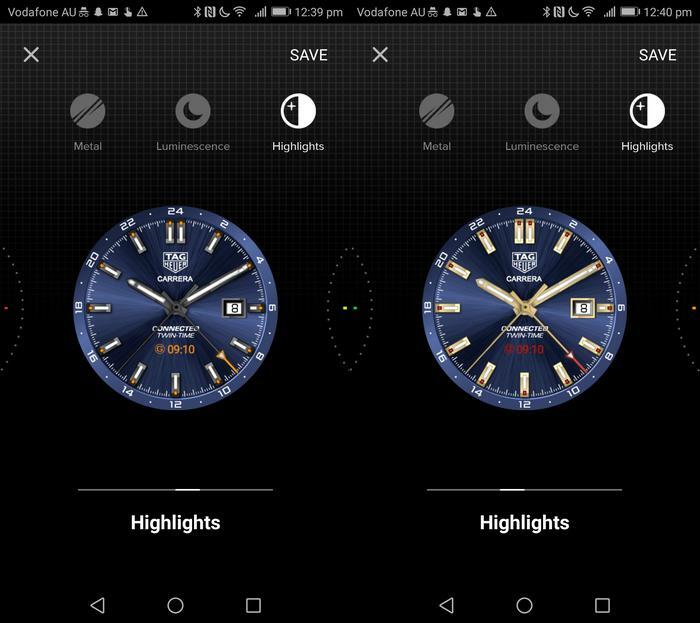 The 'At Rest' battery-saving screen when you're not looking at it plus a shot of the new Android Wear 2 apps menu. 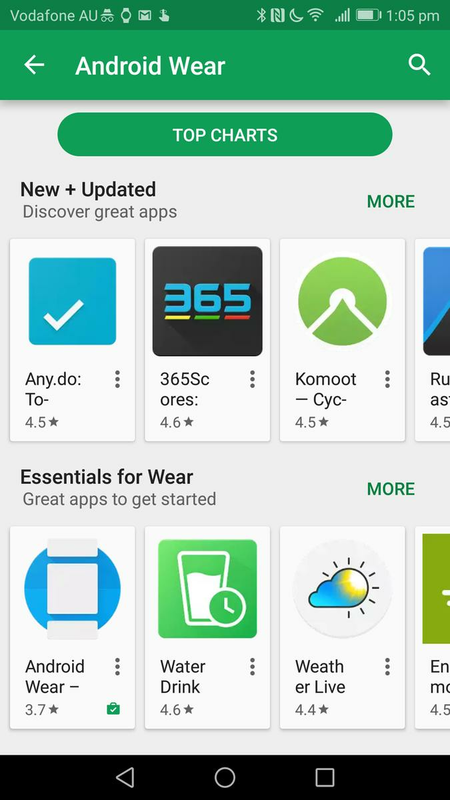 You can now access the smartwatch area of the Google Play store direct from your phone too. We still haven’t found a killer app for it though. Google Fit works but relies on your phone for GPS info as there’s not one built in. The clasp is secure on the solid rubbers strap. But its points can dig into you. 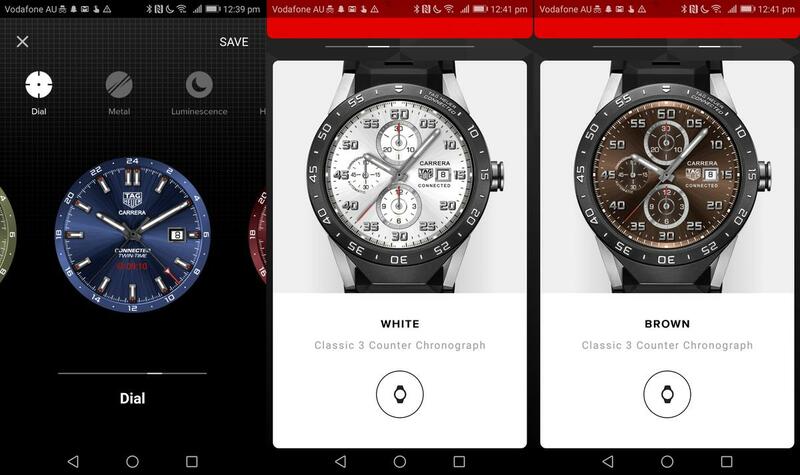 The new Android Wear 2 smartwatch store is now available direct on the watch. Swiping down gives access to Aeroplane Mode and Brightness features. You can also turn on Do Not Disturb and easily turn the watch face off which is useful at night. Potentially-big missing features of the Connected include a heart-rate monitor and GPS. While these can be generally terrible and inaccurate on smartwatches, they do tend to be a useful addition considering that fitness is a key feature of the devices. They are battery-vampires though. And that’s an issue with the Connected. Despite its size and limited features it really does only comfortably last for a day – at least the charging cradle is simple to use. WiFi is built in but we recommend turning it off to save juice. There's no heart-rate monitor but it is waterproof. Taking the watch off is simple, thanks to the clever clasp on the solid, rubber strap.. However, the bulky metal’s sharp corners do sometimes dig into your wrist. We were impressed with the IP67 waterproof rating, however. Many smartwatches offer poor waterproofing but this will manage 30-minutes at a one-metre depth. Watches often represent jewellery for men these days and price is frequently determined by brand. A Huawei smartwatch does more than the Connected and five times less. But it’s a Huawei. Garmin’s Fenix Cronos is very practical and useful and costs the same. But it’s from Garmin. Apple’s Watch (especially the expensive ceramic – aka White – variant) can’t hold a candle to Tag and Rolex in terms of watch cachet. Will people notice this is a Tag? Our experience says no, but they do notice it and are then usually impressed to learn it’s a Tag. Of course, paying $2,000 for a piece of not-very-useful technology can sting a bit, especially if it becomes obsolete quickly. Good news here is that the newer Tag Heuer Connected Modular 45 doesn’t make this obsolete by any stretch – it just offers different (sometimes flamboyant) physical appearances with some updated innards (for potentially a great deal more money), but the software and functions remain the same. 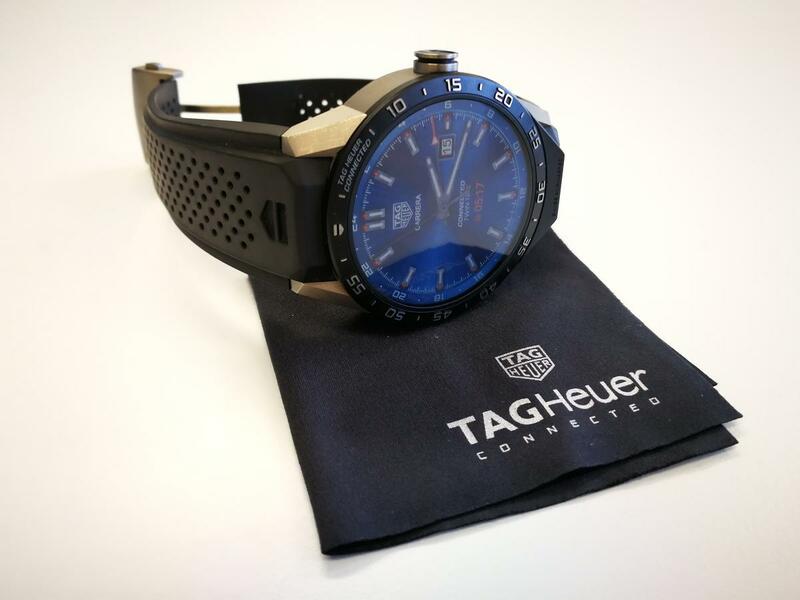 However, if it does start to feel old – and that’s inevitable at some point – Tag has catered for this and offers all buyers the ability to trade it in for a special Tag Heuer Carerra (mechanical) watch (along with US$1,500). Of course many people will be balking at such prices, but if that’s the case, don’t be looking at brands like Tag. If your smartwatch requirements primarily involve telling the time and giving you some notifications without having to take your phone out of your pocket, look elsewhere. Whatever your thoughts on the matter, the Tag Heuer Connected is still, far and away, the flashiest/classiest smartwatch you can buy.